perfect nest WHAT'S IT TO YA"? -regardless of age or physical ability. 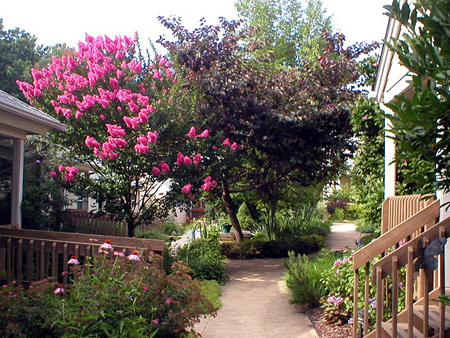 Gardens and walking paths that lead to nearby amenities. FOR YOU... " This eBooklet contains helpful starting points for talking about and designing a functional and BEAUTIFUL lifelong home. TODAY, take a deeper look at planned independence and how it could work for you. 1. 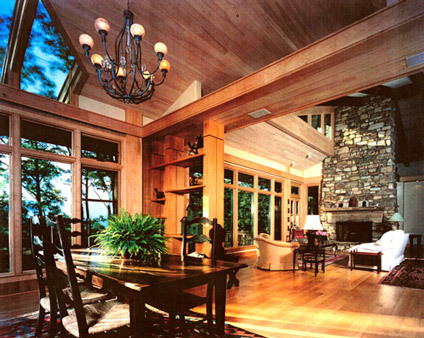 Could it be in a pocket neighborhood- possibly look like this home designed by Architect Ross Chapin? 2. It is a home that incorporates universal design elements that make it easy for all who live there to enjoy, regardless of age or physical ability? 3. 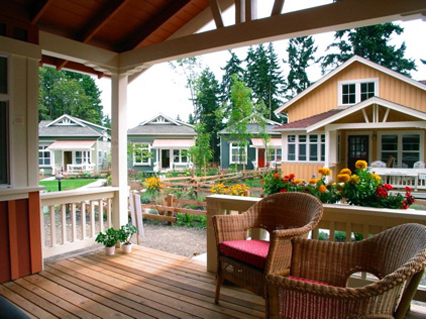 Could it be in a multi-generational home- perhaps with other family members in a walkable community? Do you love the idea of sustainable excellence - enduring qualities that incorporate universal design elements - that can work for all who live and visit ? of building strategies to make that personal castle a comfortable, healthy and efficient place into which you and family can nestle- possibly for a lifetime…planning for and creating something that fits. Possibly it comes down to a simple understanding of solutions in appropriate building and maintenance. One of the strategies for sustainable excellence is wheelchair accessibility, not only in the interior design-- but out-of-doors as well! If you demand sustainable innovation and enduring excellence, and plan for independence at home, that could mean you expect high performance building strategies to make your perfect nest a comfortable, healthy and affordable place in which to live. As " boomers" and post 50 adults plan for and create "forever homes" - we can implement strategies to reduce energy and water usage, promote renewable energy use, help protect the land and natural resources where the home is built, and reduce pollution and the waste of natural resources during the manufacturing and construction phases and throughout the life of our now "finely-feathered" living spaces. ONWARD to planning a place to live -Investigate Main Floor (one floor) living - the features and benefits if/when you choose the option of aging-in-place.